The news report not long ago about the Pottsboro woman with a station wagon load of 22 small dogs is just the tip of the iceberg. At one point the woman asked authorities to at least return her “breeders.” Kudos to Justice of the Peace James Harris, who awarded full-custody of the poor pups to the S.P.C.A. of Texas. From time to time we hear about a “puppy mill” being closed down. One man arrested said, “You can’t take them. Them’s my money dogs!” Texoma Living! implores you to avoid buying curbside animals and make the trip to one of the area animal shelters, instead. Both of the Texoma Living! mascots—Lilly, a pitbull-terrier mix and Zelda, a Japanese Shiba Inu-German Shepherd mix— are adopted rescues. Adoption fees may apply. 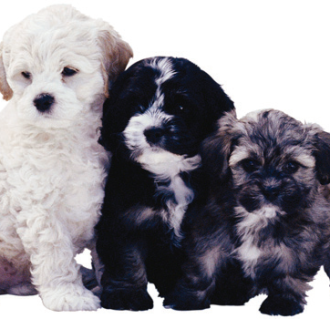 See available pets online at www.petfinders.com. Charlie Haldeman is the KXII news director, and he is the co-anchor of First News at Six and Ten alongside Maureen Kane. He joined the First News team in January of 2006 and lives in Sherman with his wife Amanda and their daughter, Hattie Elaine.